​Having a pool in your backyard is like having your own little tropical oasis. It’s a place to relax and unwind, soak up the sun and cool off on a hot day and have fun. 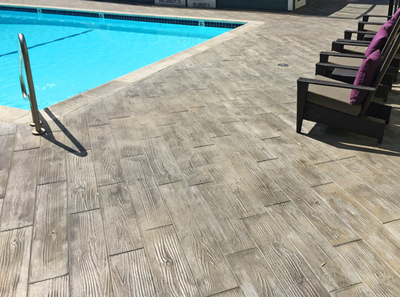 Whether you’ve had a pool for ages, or you’re looking to install your very first one, you probably already know the importance of a good pool deck. 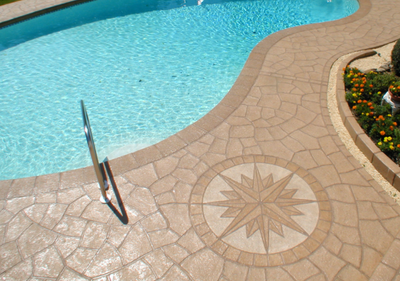 Pool decks provide aesthetic appeal to your pool, but more importantly they provide safety. 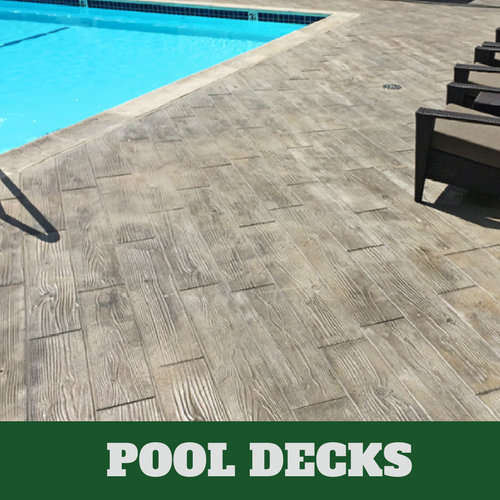 A good pool deck will give you both. 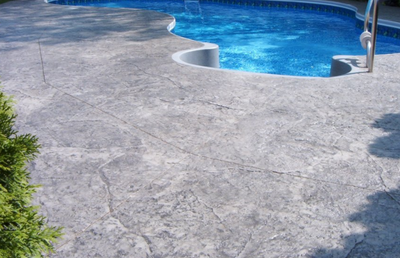 Contact Grand Rapids Stamped Concrete today to talk about all of your pool deck options. 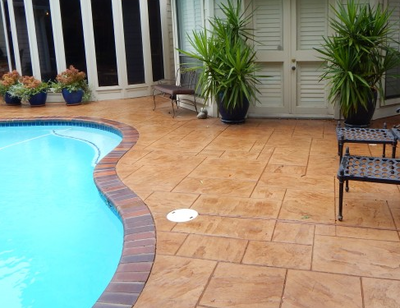 When it comes to your pool deck color can play a much larger role in things other than aesthetic. 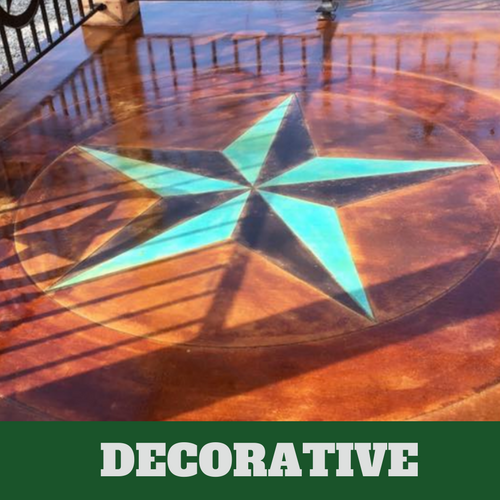 Of course, it is fun to combine and contrast colors to fit with your landscaping and patio furniture, but certain colors can also offer other benefits beyond this. 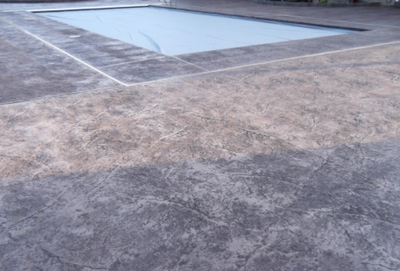 For example, coloring your concrete with lighter shades such as white, sand, beige or coral can keep your pool deck cooler if your pool is in an area where it is exposed to the hot sun for most of the day. 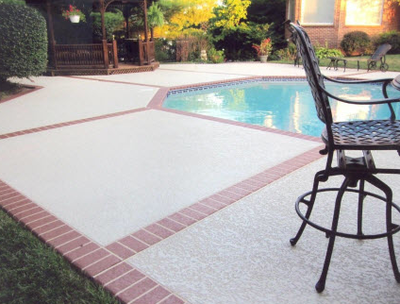 Opting for white can keep your pool deck up to 20 degrees cooler, than darker shades, which makes a huge difference in hot climates. 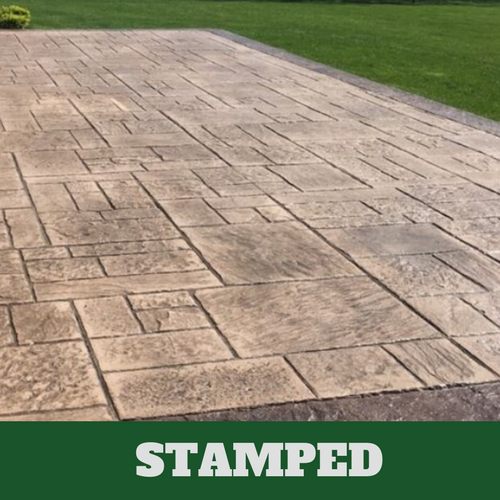 Stamped concrete can be made to look like brick, slate or cobblestone without the hassle or cost of actually installing any of those materials. 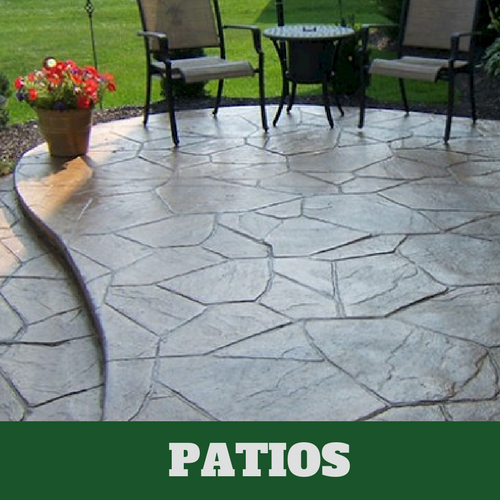 However, the cool thing about stamped concrete is that it can also be used to play around with other, more unconventional patterns, such as shells, leaves, fossils and geometric shapes. 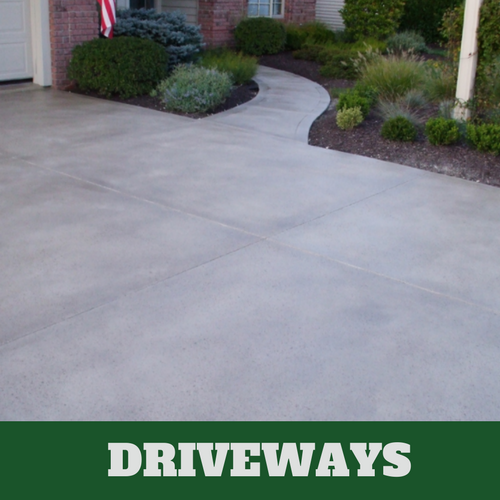 While these options might be a bit much for a driveway or floor, your pool deck is the perfect place to play around with these options. Adding a leafy design can help you feel like your in your own tropical paradise. 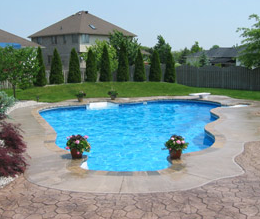 A lot of backyard pools will have unique and curvy shapes because of the size of the yard, but also because it makes them look more natural and inviting. 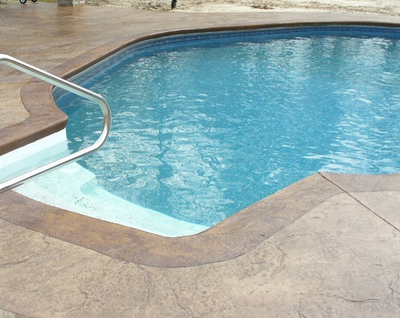 A popular way to highlight the shape of your pool is to install a border that goes along the curves. The cool thing about adding a border is that you can play around with different color schemes. 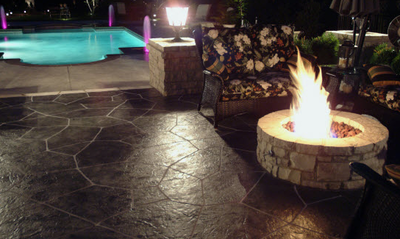 Choosing contrasting colors for your border and pool deck can really make the area pop and make the space completely one-of-a-kind and unique. 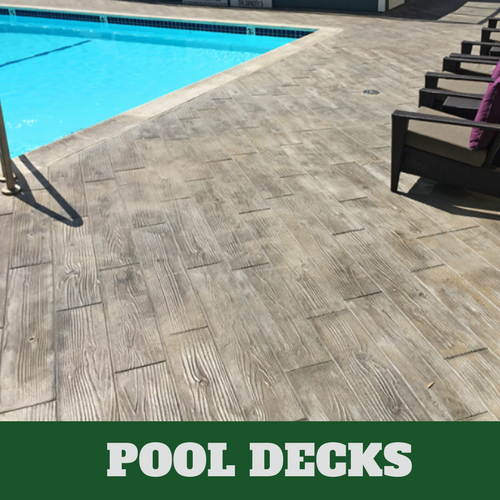 This is a bit trickier than going with a traditional flat pool deck, but opting for different levels can help separate the pool area from the lounge area and make the space feel more inviting and original. An example of using different levels would be to have the pool area on the lower level, and then a step higher have a space for lounge chairs and towels. 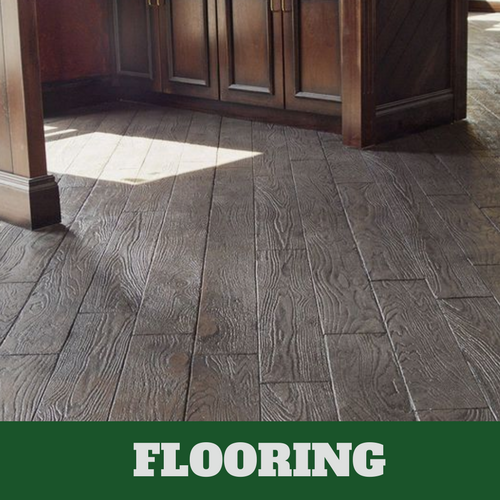 While the installation process for a design option like this would be much more complex and time-consuming, the end result would be an incredibly stunning space that you would want to use all the time.